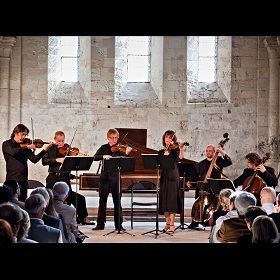 This Baroque ensemble, in residence at the Grand Théâtre de Provence in Aix-en-Provence, takes its name from a famous establishment run by Gottfried Zimmermann, a place of harmony at the heart of 18th century Leipzig, where coffee amateurs and enlightened music lovers would meet while listening to the Collegium Musicum, conducted by Georg Philipp Telemann and Johann Sebastian Bach. 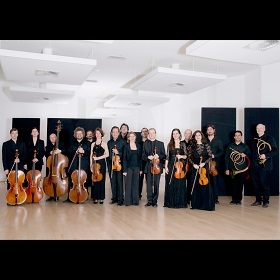 Founded in 1999, Café Zimmermann is one of the leading Baroque ensembles in France and in the rest of Europe. 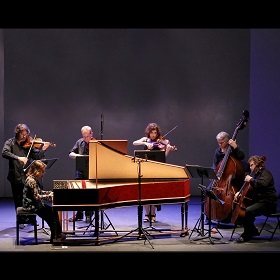 Led by violinist Pablo Valetti and harpsichordist Céline Frisch, the ensemble brings together soloists who are eager to bring back to life the artistic atmosphere conveyed by Gottfried Zimmermann’s establishment in 18th century Leipzig. Café Zimmermann collaborated with artists such as Emöke Barath, Giuliano Carmignola, Rupert Charlesworth, Lorenzo Coppola, Maarten Engeltjes, Damien Guillon, Kristina Hammarström, Christian Immler, Roberta Invernizzi, Sophie Karthäuser, Gustav Leonhardt, Lenneke Ruiten, Carolyn Sampson, Andreas Staier, Dominique Visse, as well as the choirs Les Elements, Aedes, Vox Luminis and Accentus. 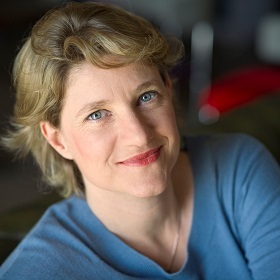 In residence at the Grand Theatre de Provence since 2011, Café Zimmermann performs in some of the most renowned concert venues and international festivals – Cité de la Musique, Salle Gaveau, Théâtre de la Ville, the Champs Elysées theatre, Innsbruck Festival, the Bach Festival in Leipzig, the Congress Library in Washington, Cervantino Festival – while striving to promote 18th century music to a larger public through creative awareness campaigns. 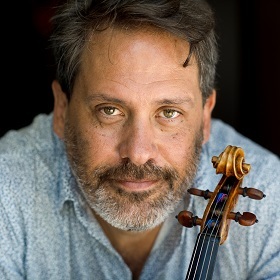 Café Zimmermann regularly performs during international tours, in the United States, Japan, China, as well as South America and Mexico. The album recordings of Café Zimmermann are acclaimed by the audience and the press, especially its spirited and contrasting renditions of J.S. Bach’s concertante music, which were awarded 5 Diapason d'Or . A new album dedicated to the italian composer Francesco Geminiani, was published in September 2018 under Alpha Classics. Chamber music by Johann Sebastian Bach and Georg Philipp Telemann. Concert for the 20th birthday of Café Zimmermann. Works by C.P.E. Bach, J.S. Bach, J.G. Pisendel and more. Works by Bach, Graupner & Telemann.